Vanuatu Minister of Finance and Economic Management, Gaetan Pikioune, and the Chief Executive Officer (CEO) of Air Vanuatu, Derek Nice, signed a Financial Agreement for a Vt850 million (US$7.4 million) deposit towards the purchase of four Airbus aircrafts. Daily Post understands the total costs of the four Airbus aircrafts is over Vt3 billion and the deposit of Vt850 million is sourced from the Development Fund, which the parliament approved and appropriated in 2018. Minister Pikioune says the present Government is committed to the shared vision between Air Vanuatu, the Vanuatu Tourism Office (VTO) and Airports Vanuatu Limited (AVL). The four Airbus aircrafts will be manufactured in France and Europe with parts that will be manufactured in Ireland and Canada. 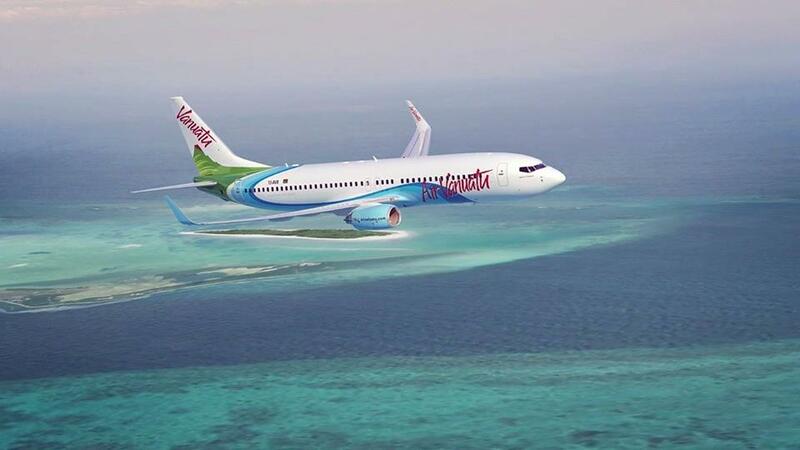 The first aircraft to add to the national flag carrier, Air Vanuatu, is expected in Vanuatu by June 2020. The other three will follow thereafter. The passenger capacity of each aircraft is 133 seats, according to the National Airline Chief Executive Officer, Derek Nice. As the aircrafts will be brand new from the factories, the life span of an Airbus aircraft is 20 years. CEO Nice has confirmed that all maintenance work will be done here in Vanuatu. He said the national airline will work closely with the Ministry of Education to tailor courses specifically for pilots and aviation mechanics who will carry out the maintenance of the aircrafts in Vanuatu. He said this are highly specialized and skilled jobs that will require time in training, and at the same time add that the national airline will liaise on this with the Ministry of Education. Nice said all four Airbus aircrafts will be based and operate out of Vanuatu to different destinations, including Australia and New Zealand and the Pacific region. In handing over the Vt850 million cheque to the Air Vanuatu CEO, Minister Pikioune called on the national airline to work closely with all stakeholders towards business progress and success. “This marks another milestone for the Vanuatu Government in such a major investment, especially in this country’s sector of development that involves the share-vision between Air Vanuatu, VTO and AVL. “It will create more employment opportunities, provide more business opportunities for everyone, including the rural sectors of the community in all tourist related areas of activities,” he said. Minister Pikioune stressed the importance of investment in this sector, pointing out that 50% of the country’s GDP comes from tourism.